This leading practitioner reference and text—now in a revised and expanded fourth edition—provides the knowledge needed to use state-of-the-art cognitive tests with individuals of all ages, from preschoolers to adults. The volume examines major theories and tests of intelligence (in chapters written by the theorists and test developers themselves) and presents research-based approaches to test interpretation. Contributors address critical issues in evaluating culturally and linguistically diverse students, gifted students, and those with intellectual disability, sensory–motor impairments, traumatic brain injuries, and learning difficulties and disabilities. The fourth edition highlights the use of cognitive test results in planning school-based interventions. Complete coverage of new or updated tests: WPPSI-IV, WISC-V, WISC-V Integrated, WJ IV, ECAD, CAS2, RIAS-2, KABC-II Normative Update, and UNIT2. Chapters on cutting-edge approaches to identifying specific learning disabilities and reading disorders. Chapters on brain imaging, neuropsychological intervention in schools, adult intellectual development, and DSM-5 criteria for learning disorders. 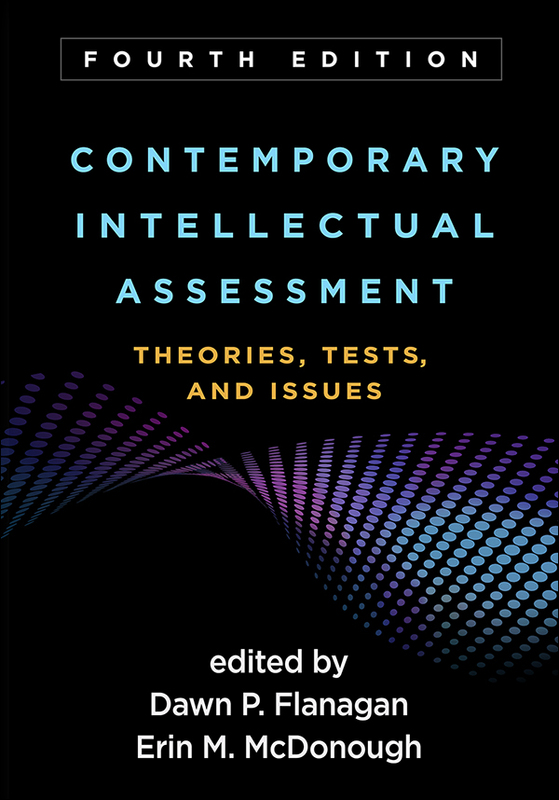 Updated chapters on theories of intelligence, their research base, and their clinical utility in guiding cognitive and neuropsychological assessment practice.